The Clean Technology Centre remains active in the food waste prevention sphere, through its running of the Stop Food Waste Programme; work with local authorities for the Local Authority Prevention Network; work with producers for The Green Business Programme and work with healthcare facilities for The Green Healthcare Programme. CTC is also undertaking a major research project on food waste – more info here. Food waste is an issue that affects everyone in Irish society –producers, growers, retailers, consumers and those who experience food poverty. In 2014 Ireland hosted its first Forum on Food Waste where stakeholders from across the food system came together to discuss the issue of food waste and CTC played a leading role in that event. In March 2017, a follow up Forum on Food Waste took place, and again this was co-hosted by CTC. This event provided an opportunity to highlight the food waste prevention work currently under way and to discuss further actions needed for Ireland to meet its commitment under UN Sustainable Development Goal 12.3. This national commitment was endorsed by the signing into effect of the Food Waste Charter for Ireland by The Minister for Communications, Climate Action and Environment Denis Naughten and the Director General of the Environmental Protection Agency, Laura Burke. 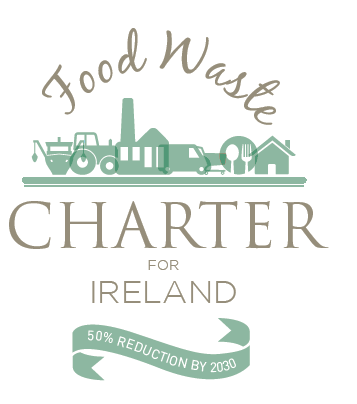 The Food Waste Charter is a public expression of our commitment to achieve an Ireland where food is consumed, not wasted. It is available to businesses and individuals to make a commitment to reduce food waste. By signing up, you pledge to take at least one action that will help reduce food waste. This action, regardless of how big or small, should be concrete and achievable. By doing this, you will join people, businesses and communities from across the country working together to reduce food waste.